His research interests include compressive sensing, inverse problems in imaging, convex geometry, low-rank matrix recovery, sparse approximations, and applications of low-dimensional signal models in signal processing, and machine learning. His PhD research includes a significant contributions towards the important blind deconvolution problem in signal processing and communications. Dr. Ali Ahmed is currently associated with the Department of Electrical Engineering at Information Technology University, Lahore as an Assistant Professor and the director of the signal processing and information decoding research (Spider) lab. 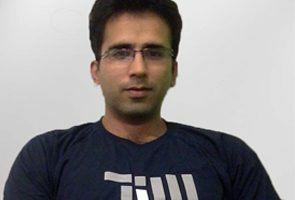 Prior to that he worked as a postdoctoral associate at the Department of Mathematics, MIT from 2014 to 2016, and as a postdoctoral fellow at the Institute of Computational and Experimental Research in Mathematics (ICERM) at Brown University, USA. He completed his PhD in electrical engineering from Georgia Institute of Technology (GaTech), USA, and has been working in the Center of Signal and Information Processing (CSIP) at GaTech. During his PhD he spent the summer of 2012 at Duke University, USA in a research program on high dimensional data analysis techniques. He received an MS in Mathematics from the Georgia Institute of Technology, Atlanta, USA; and an MS in electrical engineering from the University of Michigan, Ann Arbor, USA; and a B.Sc. 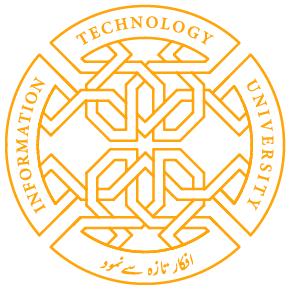 in electrical engineering from the University of Engineering and Technology, Lahore. Ali Ahmed, Augustin Cosse, and Laurent Demanet. A convex approach to blind de-convolution with diverse inputs. In Computational Advances in Multi-Sensor Adaptive Processing (CAMSAP), 2015 IEEE 6th International Workshop on, pages 5–8. IEEE, 2015. Ali Ahmed, Benjamin Recht, and Justin Romberg. Blind deconvolution using convex programming. IEEE Transactions on Information Theory, 60(3):1711–1732, 2014. Ali Ahmed. Compressive acquisition and least squares reconstruction of correlated signals. IEEE Signal Processing Letters, 2017. Ali Ahmed and Justin Romberg. Compressive multiplexers for correlated signals. In Proc. IEEE Asilomar Conference on Signals Systems and Computers, Pacific Grove, CA, November 2012. Invited paper. Ali Ahmed and Justin Romberg. Compressive sampling of ensembles of correlated signals. under review in IEEE Transactions on Information Theory, 2017. Ali Ahmed and Laurent Demanet. Leveraging diversity and sparsity in blind decon-volution. IEEE Transactions on Information Theory, 64(6):3975–4000, 2018. Ali Ahmed and Justin Romberg. Compressive sampling in array processing. In Computational Advances in Multi-Sensor Adaptive Processing (CAMSAP), 2013 IEEE 5th International Workshop on, pages 192–195. IEEE, 2013. Invited paper. Ali Ahmed and Justin Romberg. Compressive sampling of correlated signals. In Signals, Systems and Computers (ASILOMAR), 2011 Conference Record of the Forty Fifth Asilomar Conference on, pages 1188–1192. IEEE, 2011. Ali Ahmed. Low-rank matrix recovery: Blind deconvolution and efficient sampling of correlated signals. PhD thesis, Georgia Institute of Technology, 2013. Ali Ahmed, Adam Charles, Aditya Joshi, Stephen Conover, Christopher Turnes, and Mark Davenport. Cleaning up toxic waste: removing nefarious contributions to recommendation systems. In Acoustics, Speech and Signal Processing (ICASSP), 2013 IEEE International Conference on, pages 6571–6575. IEEE, 2013. Ali Ahmed, Alireza Aghasi, and Paul Hand. Convex bilinear inversion from the entrywise product of signals with known signs. In Signals, Systems and Computers(ASILOMAR), 2017 Conference Record of the Forty Fifth Asilomar Conference on. IEEE, 2017. Invited paper. Ali Ahmed. A convex approach to blind mimo communications. under review in IEEE Wireless Communications Letters, 2018. Ali Ahmed, Alireza Aghasi, and Paul Hand. Blind deconvolutional phase retrieval via convex programming. In Advances in Neural Information Processing Systems (NIPS),2018. Spotlight NIPS. Ali Ahmed, Alireza Aghasi, Paul Hand, and Babhru Joshi. A convex program for the bilinear inversion of sparse vectors. In Advances in Neural Information Processing Systems (NIPS), 2018. Ali Ahmed. Blind deconvolution and deblending of a convolutive mixture. under review in IEEE Communications Letter, 2018. Alireza Aghasi, Ali Ahmed, and Paul Hand. Branchhull: Convex bilinear inversion from the entrywise product of signals with known signs. under review in Applied and Computational Harmonic Analysis, 2017. Ali Ahmed and Justin Romberg. Compressive multiplexing of correlated signals. IEEE Transactions on Information Theory, 61(1):479–498, 2015. Referee Service: Reviewer of IEEE Transactions on Information Theory, IEEE Transactions on Signal Processing, Journal of Inverse Problems, and European Signal Processing Conference. "HEC NRPU Funding Award (2017)"